And the oyster is at the bottom of the sea. 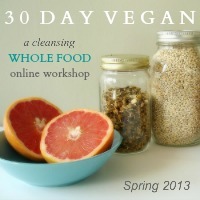 The next session of 30 Day Vegan is Spring 2013. Please sign up under "newlsetter" on the sidebar if you'd like to be notified when registration opens. Thank you! Spring is a natural time for renewal. A time for checking in with yourself and making the extra effort to take care of your whole being. I'm excited to include all the recipes from the previous two 30 Day Vegan sessions, new video cooking classes, and Renee Tougas returning to share about life inside her vegan kitchen (a bit of new content there as well!). Come for the amazing food, stay for the personal retreat. Shopping cart will open soon! Because fresh fruits, vegetables, whole grains, legumes, nuts and seeds are incredibly cleansing and healing to the body. Because many of us tend to consume far more animal foods than we should. Because it feels good to be around kind, supportive, like-minded people on a similar journey. Because now is the perfect time to show yourself a whole lotta love. There is no one way for every body to eat. You should respectfully question anyone that tells you so. It is important to keep an open mind when it comes to nutrition and "diets." After all, in the grand scheme of human development, the science of nutrition is in it's infancy. Michael Pollan said, "Nutritional science today is equivalent to where surgery was in the year 1650." Isn't that something to think about. However, a vegan lifestyle does seem to register with many of us intuitively. Our bodies feel lighter, our minds clearer, our hearts more open. Unfortunately, it's easy to feel defeated by just the idea of it. An entire lifetime seems impossible: social functions, holidays, other family members, dinner invitations... many people give up on the idea before they even begin. Maybe, rather than feeling it's all or nothing, a healthier balance is what we should be seeking. What if a person sets aside a period of time, not eternity, to delve into a vegan experience? How would they feel? In my day to day life, although I am a whole food enthusiast, I am not a vegan. I do however, adopt a vegan lifestyle several times a year for a stretch of days or weeks. For me, it is an effective way to take a break and gain clarity. It is about feeling fluid and light in body, mind and spirit. By adopting a vegan lifestyle for 30 days, the body will naturally feel cleansed and space will be made for healing and personal growth. What will 30 Day Vegan include? Access to a private blog which will serve as our classroom/mission control. All material is self-paced, check in anytime throughout the day. Threaded comments within the blog for questions, sharing and community. Access to me - your wellness coach and go-to-girl for questions, comments, etc. - private emails answered within 48 hours on weekdays. Daily postings, Monday through Friday. 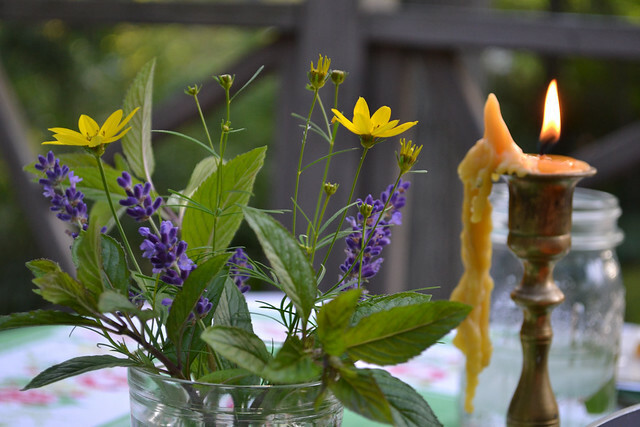 Weekly video cooking classes - come on into my kitchen! Recipes recipes recipes - you will be abundantly supplied with simple to prepare, whole food vegan recipes. Printable articles, prompts, activities, handouts and resources that will rock your world. 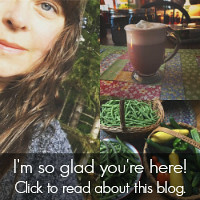 Pre-workshop access to the blog (opening May 16th) with information and tips to help prepare you for the amazing month ahead. A special five part module: Life Inside a Vegan Kitchen, by guest presenter, Renee Tougas. What will not be included in 30 Day Vegan? Recipes using foods that pretend to be other foods - there will be no industrialized food products (no faux meat items, overly processed milk substitutes, etc. Just real, clean food. A perfectionist attitude - this is a journey that will involve many hills and valleys, be kind to yourself. A focus on losing weight, though some of you will naturally do just that. A "challenge" mentality. 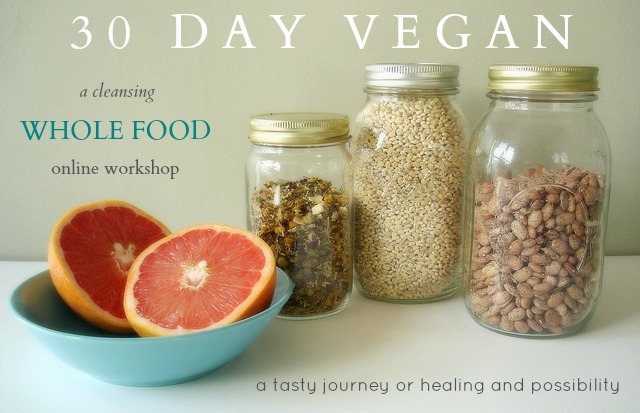 This workshop is one of a holistic mindset and participants are grateful for the gentle encouragement and experiential feel of 30 Day Vegan. Who is 30 Day Vegan for? Well, I hope it is for you! If you feel open to a balanced, centered way of living through clean and healthy eating, then this is definitely for you. Vegans and vegetarians who feel they've been eating one too many boca burgers or grilled cheese sandwiches and would like a space to reconnect with their original intentions. People who love the feel of a group experience, and those who are more comfortable observing from the wings. We all have a different approach to this sort of thing, that is just fine. Although I will be leading a vegan experience, there will be people who feel they can't commit 100%. I would never exclude you. This workshop will be filled with information, recipes, and community. Please don't feel you can't sign up due to modifications, please honor yourself. You are welcome to come as you are and take away what you can. 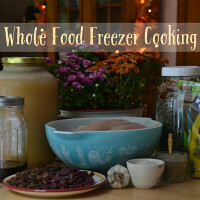 Whole foodies, and people who simply love a beautiful, holistic experience.